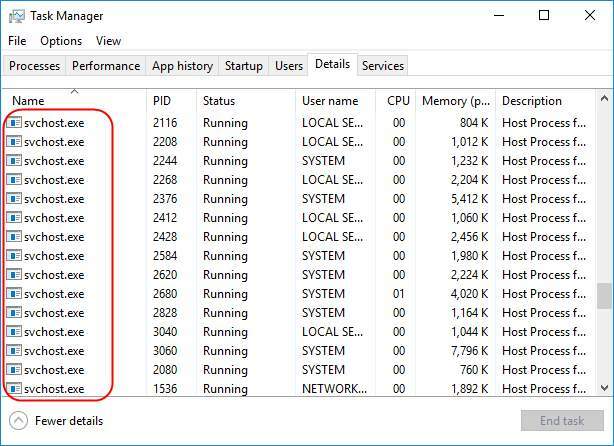 When you notice your Internet speed is rather slow, and check in Task Manager, you may find svchost.exe (netsvcs) is eating the Internet. At the same time, you should have see there’s quite a lot svchost.exe listing in your Task Manager. 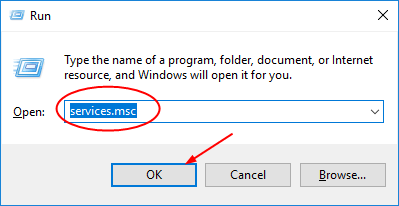 What is svchost.exe (netsvcs) then? First, let’s figure out what is svchost.exe. Svchost.exe runs on your computer to host many other individual services that Windows uses to perform various functions. And netsvcs is one of the many individual services. 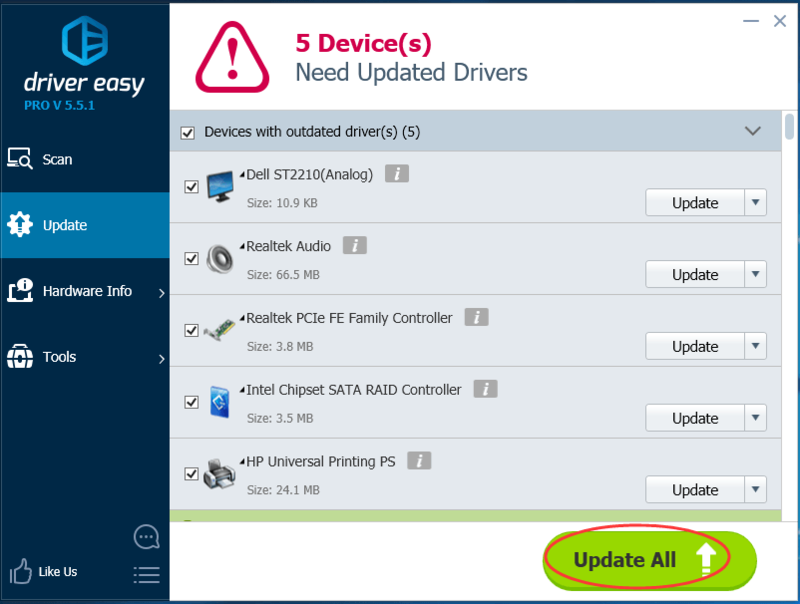 It is important for your computer to run stably and safely. In other words, netsvcs is required for your Windows working properly. 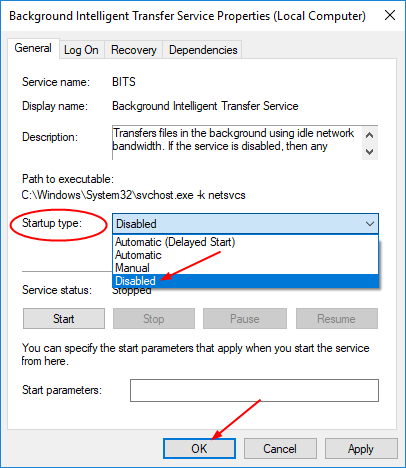 Since svchost.exe (netsvcs) uses a lot of network usage, can I disable or remove it? As we talked before, netsvcs, as a system process, is of great necessity for your computer to work in a stable condition. Thus it should never be disabled or removed from your Windows. Then How can I solve its high network usage problem? 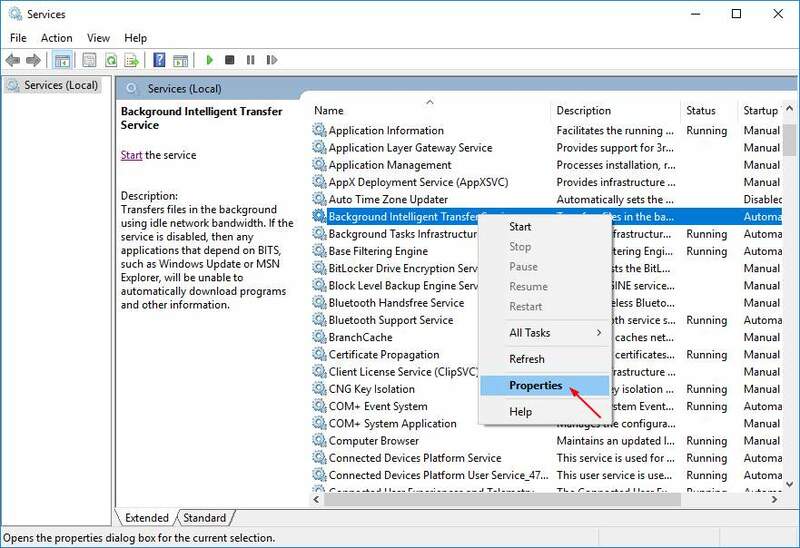 According to many users who also had this problem, disable the BITS(Background Intelligent Transfer Service) service help them solved the issues. Usually, BITS uses idle bandwidth to transfer software update for users. When it comes to error, like causing netsvcs eat Internet, you should disable it. 1) On your keyborad, press the Windows logo key + R key together to open a Run box. 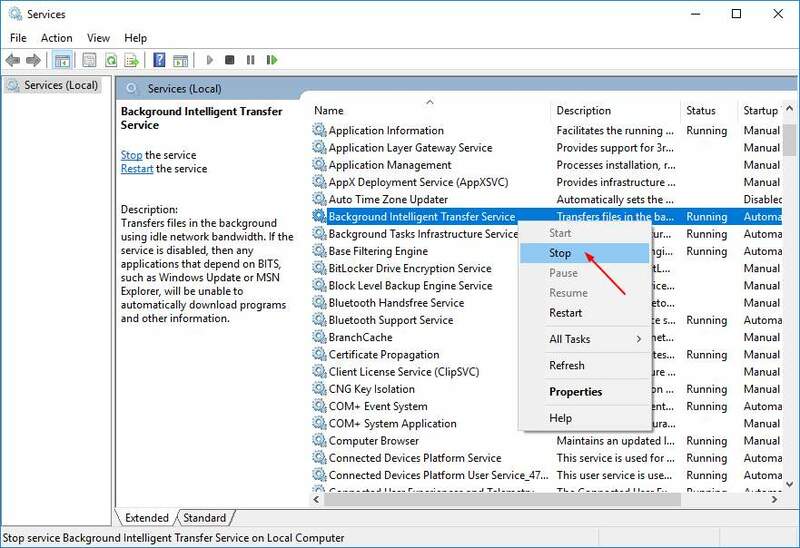 Then type services.msc in the box and click OK.
2) On the pop-up Services window, find and right-click on Background Intelligent Transfer Service. Click Stop. 3) Right-click on the Background Intelligent Transfer Service again. This time click Properties. 4) On the open window, set its Startup type to be Disabled from the drop-down menu. Then click OK to save your settings. 5) After it’s done, restart your computer and the problem should be solved. How if my Internet speed still keeps slow?